With Mazetools Soniface you can create various styles of electronic music. 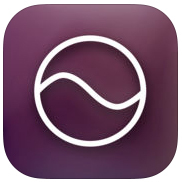 Based on common aspects of music production and notation the app guides you towards a visual music composition. The framework of action is a grid that works audiovisual. Each line represents a single note. Shining lines are showing playing tones. Get information about all functions through an integrated manual. 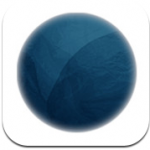 Explore the circular editing interface with its sound and visual effects. Use of multi-touch gestures for altering them. Merge sound and geometric shapes! Draw freely with your finger circuits to modulate the sound wave. Do the same to create automation curves and let the sound effects vary. Explore the arpeggiator interface and let the grid play a sequence of notes automatically. Tap the drum steps into 3 circles to set bass drums, snares and hi-hats. Adjust each envelope, pitch and noise level and automate them afterwards. Create different patterns to create songs. Add a special kaleidoscope visual to highlight a pattern. You can store your creations in different ways. Collect single Mazes or whole sets and add them immediately. Add one set into another and extend your playing time. 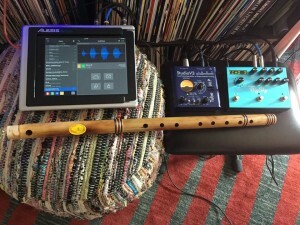 Today I recorded a couple notes from my Bansuri to my iPad. I ran the condenser mic through a tube pre and then through a Strymon Big Sky reverb. The file was then recorded and shared via iPad to Dropbox. You can download the sample here. 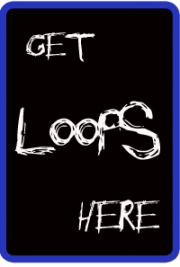 Feel free to use it in your music! Listen to what iPad Musician Grant Basma Horsnell did with it! 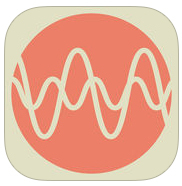 Mobile Mood Machine (aka MoMoM ) is a brand new app by French IDM artist and programmer Julien Bayle aka Protofuse. Mobile Mood Machine provides a musical playground you can touch with your fingers. 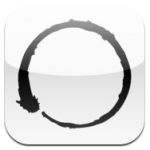 Minimalism, Zen & Quietness are the main words that could describe this iOS application. The Mobile Mood Machine ‘s engine works with circular buffers recording til 8 sequences represented by 8 colors. Each sequence is repeated according to specific rules related to the current chosen Mood. Some Moods are minor, some are major with a lot of time between sequence repetitions, some are hypnotically repetitive. You can choose to make creatures becoming old. In that case, they will progressively disappear and their sounds will have a bigger attack til their end, when they will completely disappear. Some Moods make them to be old faster, or slower. In that case, you just have to close your eyes, to let those waves envelope you into a sweet bubble of zen protection. These sounds can cancel all annoying aggressive noises surrounding us every time. Tonalverse is a new ambient universe generator, allowing you to distract your mind by creating ambient tones and infinite sequences in an abstract graphical universe. • Get creative in bouncing tonal spheres across a multi-dimensional landscape, designing new patterns and cellular interactions. • Tonalverse utilizes the physical properties of simulated planetary bodies in space and unbounded cellular automation to generate infinitely unique tonal soundscapes. • Take five minutes to immerse yourself with wholly relaxing tones generated by simply interfacing with gorgeous planetary bodies in a tonalverse of your own. • Tonalverse is your temporary escape from reality, allowing you to reset your mind, refocus and succeed.